Growing up in rural South Australia, Dan Daw first set foot on the stage when he was 12. Knowing no limitations, he then went on to forge an international career in London. Now 33, Dan takes time to reflect on the rollercoaster ride that has led him here. Drawing on stories from Dan’s lived experiences, On One Condition asks us to question our own perceptions of ‘normal’ while offering a bare boned, stripped back look at the world we live in. We invite you into Dan’s childhood home and on a journey overseas to share in one man’s undying search for perfection, as he attempts to hold the world on his shoulders in all its beauty and grotesqueness. Directed by Graham Adey in collaboration with Dan Daw and co-produced by Murmuration (AUS). Training at Northern School of Contemporary Dance graduating in 2006, Graham started his professional career with an apprenticeship with Candoco Dance Company. Graham then went on to tour with a number of UK dance companies including State of Emergency, ACE Dance and Music, and Tavaziva Dance. Alongside his performing work Graham has taught on the young offenders program run by Dance United, which included the Destino project. In 2008, Graham was invited to take part in the Ballet Gala in Yokohama, Japan and in 2009 appeared at The Place, London in The Percussive Customers. Alongside his tour with Made By Katie Green, Graham performed in Nocturn, a festival piece choreographed by Marc Brew. Graham has worked at Skånes Dansteater since May 2010 and collaborated with a number of choreographers including Ben Wright, Philippe Blanchard, Susanna Leinonen, Václav Kuneš and Örjan Andersson amongst others. In 2013 Graham choreographed for the opening ceremony of the Eurovision Song Contest held in Malmö, Sweden and in 2014 he created THE MODERN CONDITION to critical acclaim. 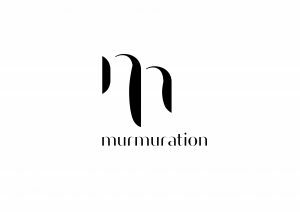 Its sequel and Murmuration Dance Theatre production, ON ONE CONDITION will premiere in September 2015 at Skånes Dansteater, Sweden. Hazuki was born in Tokyo in 1988. She started ballet at Shigyo Ballet School, then from the age of eleven she studied at The Arts Educational School, Tring Park. She furthered her training and graduated from English National Ballet School in 2007. During her studies she performed in Swan Lake with English National Ballet in Concert for Diana at Wembley Stadium. Later she was selected in Dance Apprentice Network aCross Europe II (D.A.N.C.E. ), a two-year apprenticeship program directed by William Forsythe, Frédéric Flamand, Angelin Preljocaj and Wayne McGregor. The program was based in France and Germany and during the period she worked closely with all four choreographers and danced a number of their works, such as Hypothetical Stream II by Forsythe and Equivalence installation with Forsythe Company. Hazuki joined Skånes Dansteater in Autumn 2009 and has collaborated with Björn Säfsten, Ben Wright, Jo Stømgren, Christopher Arouni, Hofesh Schechter and Örjan Andersson (amongst others). Sarah-Vyne is a director, choreographer, writer and arts consultant with a career spanning 20 years in the Arts and Entertainment industry, having worked across dance, theatre and screen with some of the most prestigious arts companies in Australia. Sarah-Vyne is a 2013 Winston Churchill Fellow, working with world leaders in the field of inclusive arts practice. Including, Candoco Dance Company (UK), AXIS Dance Company (USA), StopGap (UK), Caroline Bowditch (UK) and Marc Brew (Australia). Throughout her career she has worked with Sydney Festival, Sydney Comedy Festival, Sydney Opera House, Museum of Contemporary Arts, Vivid Sydney, Festival of Dangerous Minds, DirtyFeet, Bankstown Arts Centre, Sidetrack Theatre, Ausdance, Adelaide Fringe, Disney, ABC, The Young Americans, Screentime, Foxtel and Channel 7. Sarah-Vyne is the artistic driving force behind Murmuration, Australia’s pionering inclusive arts company. She is currently in creative development for Murmurations screenplay ‘Bowerbirds’, directing a regional arts learning program and has recently premiered the companies major theatre work ‘Days Like These’. Written and directed by Sarah-Vyne, Murmuration’s hilarious ‘Have You Ever’ physical comedy sketch, was performed to sold-out audiences of children and families at Sydney Comedy Festival 2016, and in 2018 Sarah-Vyne was the choreographer for the Australian Paralympic Gala Awards. 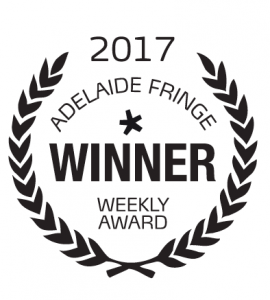 ‘On One Condition’, a co-production with Murmuration, premiered at Skanes Dansteater in 2015, before being presented at Sadler’s Wells, SoHo Playhouse New York and toured to Edinburgh and Adelaide Fringe Festivals, where it received the Adelaide Fringe Best Theatre Award. Sarah-Vyne has worked on screen as an actress in Australian television series All Saints and TVC’s for NRMA, Foxtel, Vodaphone and the Australian Government. As Movement Director for music videos she has worked with indie sensation The Jezebels, The Griswolds, Reece Mastin, Money Go Round and as a stylist for the nationwide CHOOSI TV Campaign.